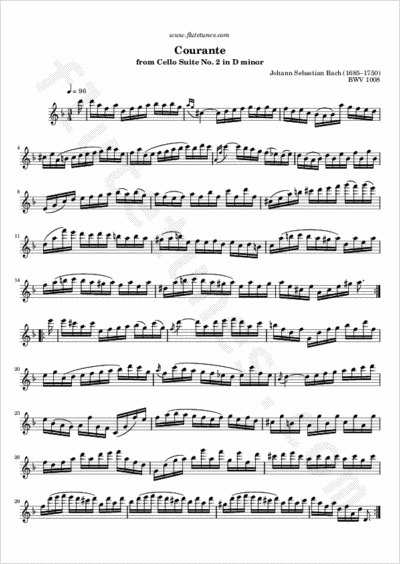 This is the third movement of Johann Sebastian Bach's Cello Suite No. 2 in D minor. It is a light and fast-paced courante (sometimes spelled corrente) in 3/4 time.